Trend to Try: Mulberry Lips! In the last month, I’ve really been loving darker lip colors for the Fall and Winter! Mulberry lips are a recent trend that has been spotted on celebrities and the runway! I would describe Mulberry as being a rich, dark burgundy color. So this holiday season, if red is too bright of a color for you, then go for the deeper, more sophisticated look with Mulberry lips! 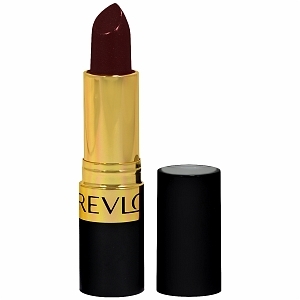 A Mulberry lipstick I’ve heard so much about is the Revlon Super Lustrous Lipstick in Black Cherry. Many people say that it is very moisturizing and pigmented! Let me know what you think of the Mulberry Lip Trend! Happy Holidays! Fabulous Friends-GUYS EDITION: Favorite Cologne! I don't own any lip products (besides some lipbalms) but I really want to get Black Cherry by Revlon, Diva by Mac, Desire by Calvin Klein or some type of mulberry color!